Like I've mentioned recently, I'm not as experimental with lip products as I used to be. 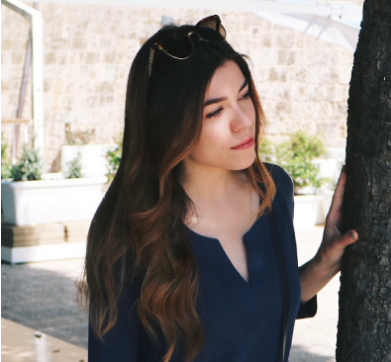 Although I have a collection that would tell you otherwise, I'm starting to know more and more what's worth buying and what I'll wear and won't. 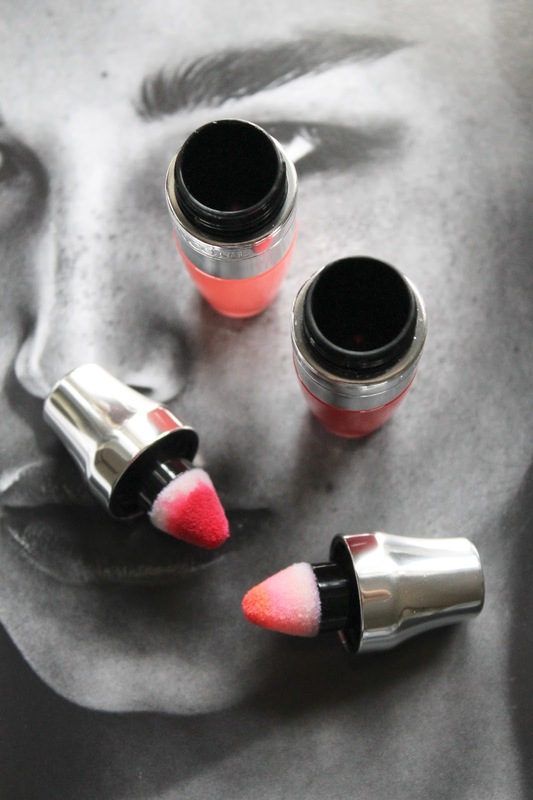 Just when I thought I was content with my spring lip rotation (and bright lip favorites), Lancôme has me feeling all the lip product addict feels over these art-meets-makeup lip concoctions. 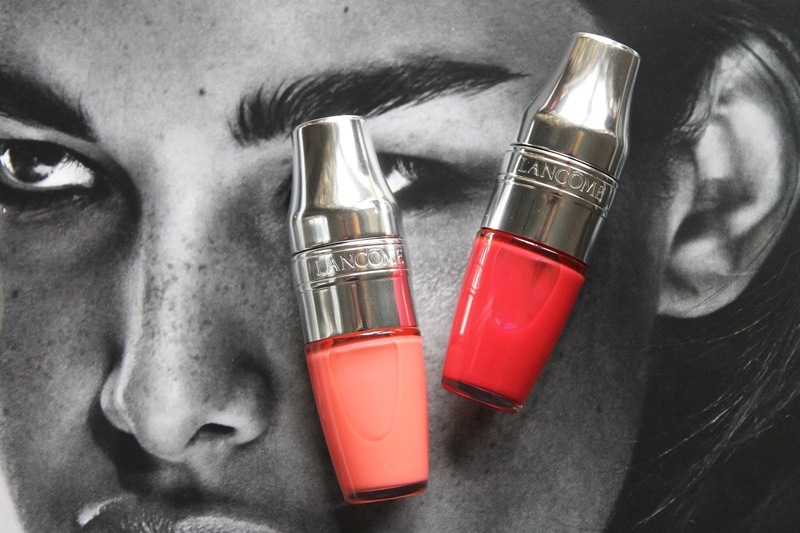 The Lancôme Juicy Shakers are what my inner teenager has always wanted in a lip product. The packaging is hefty and high quality, yet has this amazingly fun cocktail shaker shape. I'll admit it was mainly the packaging that got me here - but I was pleasantly surprised by what was inside the shaker as well. It's a bi-phase lip oil and pigment that's meant to be shaken and then applied with the plush sponge applicator for wash of sheer color. I'm kind of addicted to these little cocktails...the way they feel moisturizing and make my lips glow is quite amazing. I have the shades Mangoes Wild (a bright fuchsia that leaves a pink stain), and Freedom of Peach (a pastel peach that makes the lips look fuller and gives a hint of color). What surprised me is that each shade has it's own distinct flavor as well - they're like candy for the lips! I've been toting these around with me since they've made their way into my stash and can't get enough of them. They leave my lips with the perfect wash of wearable color while making them feel nothing short of juicy (in a non-sticky way) and soft. I love the color selection as well, I think these will be my go-to lazy girl lip product of the spring and summer.